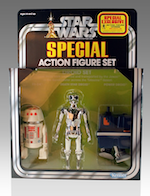 San Diego Comic Con 2015 is nearly here and the news continues to roll in with amazing exclusives! Fugitive Toys is brining it big once again with a few exclusives of their own that DC Comics fans will not want to miss out on. 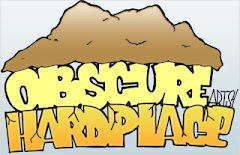 Good news for both attendees and non-attendees, but you need to act fast for this opportunity. 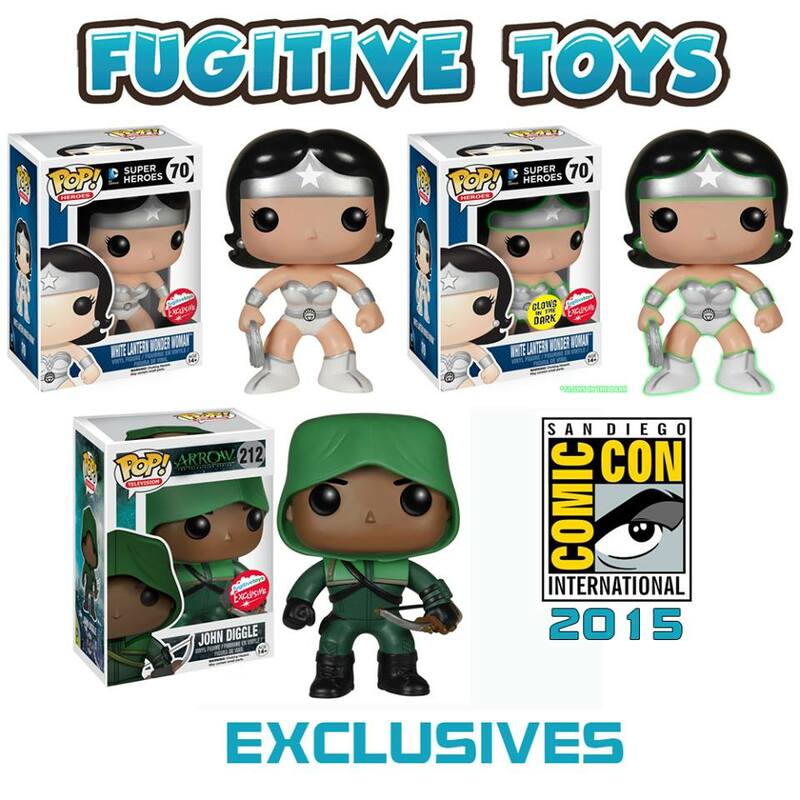 Fugitive Toys has made their SDCC 2015 exclusives available for pre-order, just in case you can not attend and for those who do not want to have to face the lines. There are three exclusives that will be available from Fugitive Toys this year. The three exclusives will include Funko Pop! Arrow John Diggle, and two variant Funko Pop! White Lantern Wonder Woman figures, regular and GITD. 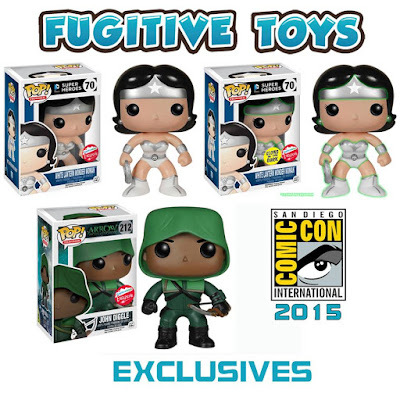 Again, Fugitive Toys is offering a pre-order for all three of their SDCC 2015 Funko Pop! Exclusives now and you will not want to miss out on this deal that is sure to sell out very quickly! 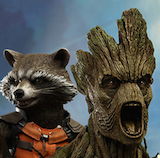 Stay in "Gear" with Angry Koala Gear as we share news and updates before and during San Diego Comic Con 2015!